I presently have a drawing on show in the Trinity Buoy Wharf Drawing Prize. It’s one of a slowly emerging series of works under the title: ‘Displaced Portraits’. 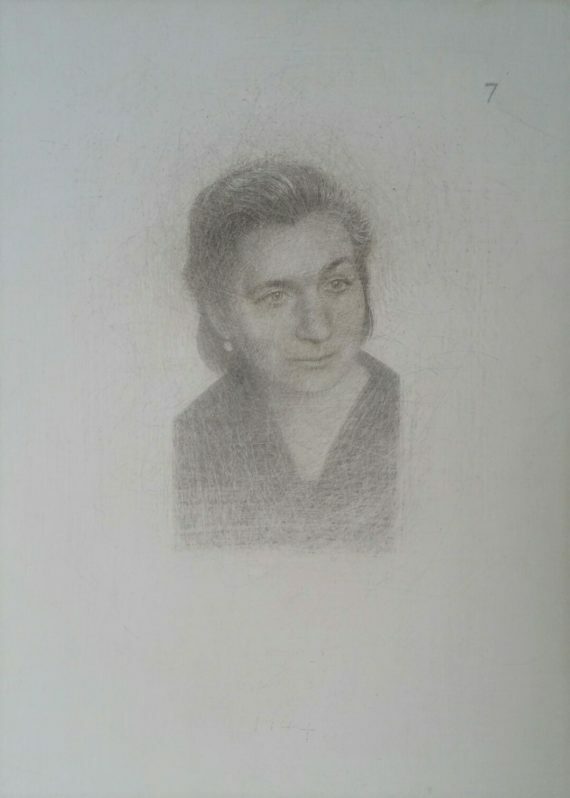 ‘Displaced Portraits’ is an ongoing series of silverpoint drawings based on people seen in photographs that I’ve found in a second-hand shop in Margate. Photographs capture the momentary presence of a person as they remain still in front of a camera for a while; my drawings are a kind of meditation on those moments which have become the displaced traces of people’s lives. All the things which says who we are eventually become a displaced things. One of my aunties became a ‘displaced person’ after the war and this word ‘displaced person’ has always been associated, in my mind, with love, war, a familiar kind of foreignness, leavning and memory. 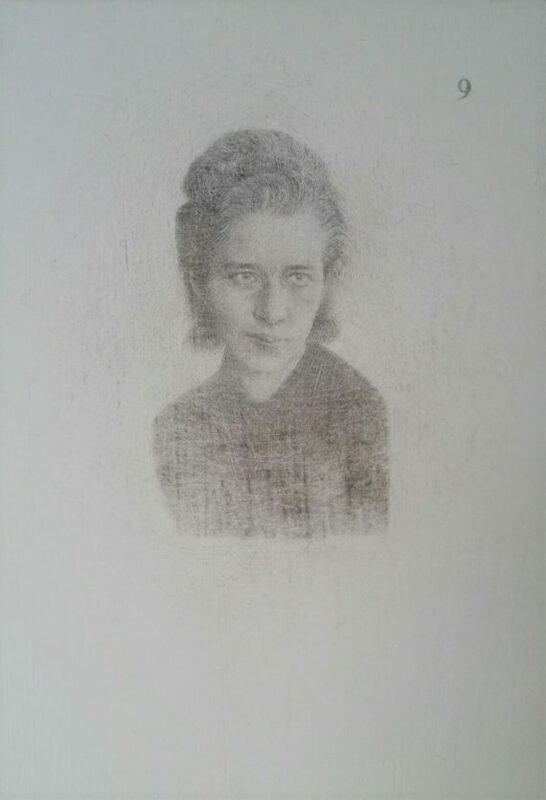 I’ve been focussing mostly on photographs which were taken in Germany in the 1930s and 1940s but there are also drawings of people who, from the look of them, might have been in Germany or in central Europe at that time (one drawing is of a woman from Myslowic/Myslowitz which is in Poland but had become part of an expanded Germany during the war). Sometimes, there are hints of particular places and of individual’s identities. Sometimes there might be a printers’ stamp with a name of a town, or there might be a note written on the back. Essentially though, these are anonymous people who are, as far as I know, unknown to me. These people are unknown to me but surely, we are connected. Drawings take time. The Art of Drawing is essentially an Art of ‘Trace’. Hand-drawn lines say: “Here a person was present who paid careful attention to the presence of things.” My drawings take time to emerge: they are repeatedly scratched-away and redrawn in order to get at something which feels truer to my sense of the person than a straight forward copy of an image. Extraneous details change in the process but always the focus is on the face and what can be imagined of the person from their look. This series of drawings is gradually ongoing. This is very much ‘work in progress’. 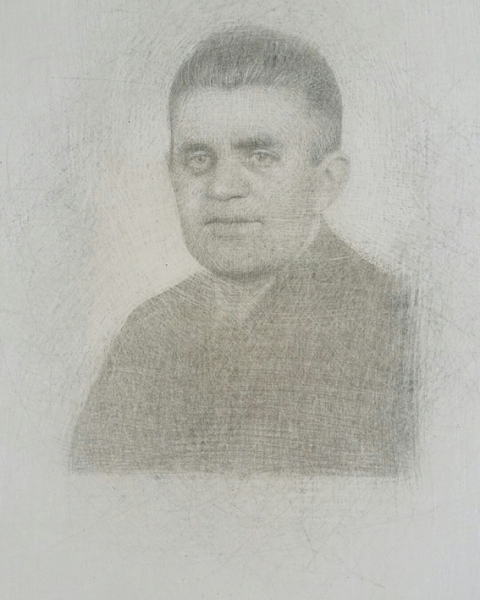 The Trinity Buoy Wharf Drawing Prize is currently on show at the Drawing Projects Gallery in Trowbridge until 26th April and then moves on to the Chapel Gallery in Ormskirk. 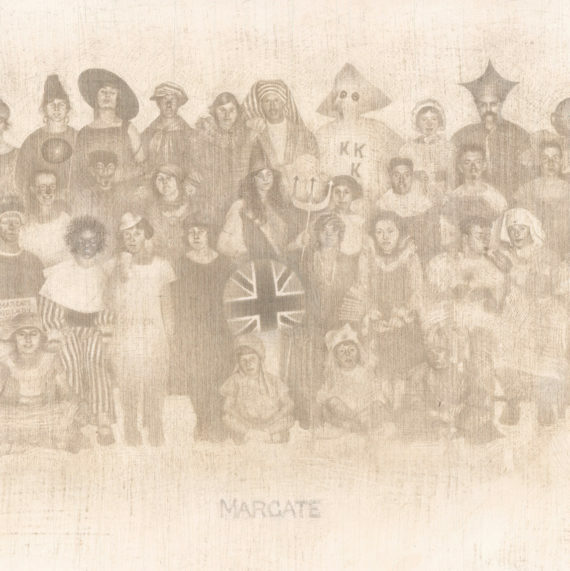 The exhibition has previously been shown at Trinity Buoy Wharf, (London), The Gallery at AUB (Arts University Bournemouth) and The Royal Drawing School (London). The Trinity Buoy Wharf Drawing Prize is the new incarnation of the Jerwood Drawing Prize.